Introducing, a new way of living in one of Australia’s most internationally renowned holiday destinations. Comprising 10 levels of sweeping grandeur, Serenity is tucked away in a quiet pocket of the Surfers Paradise precinct, offering peaceful surroundings, just a stone’s throw from all the city’s excitement and action. 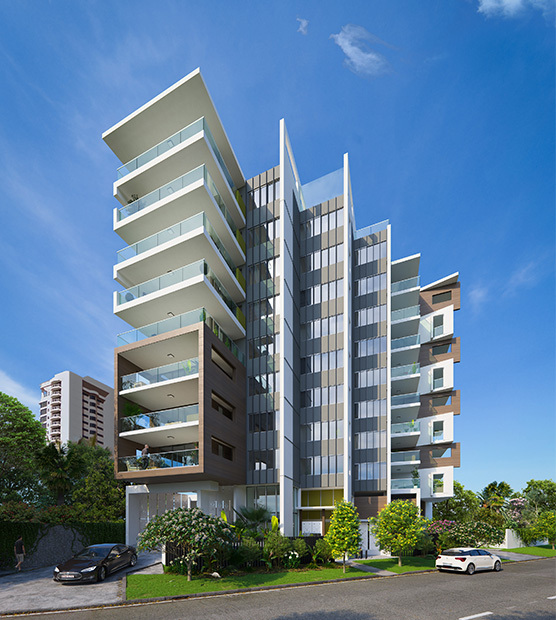 Located just a short stroll from Surfers Paradise’s beach, dining and entertainment strip, Serenity focuses on providing a quiet, luxurious lifestyle, overlooking the Nerang River and the multi-million dollar suburb of Isle of Capri. If you prefer five star relaxation at home, or whether the buzz of Surfers Paradise, Main Beach or Broadbeach calls, at Serenity, it’s all catered for in style. This material does not form a part of the contract of sale. It has been prepared for illustrative purposes and should be used as a guide only. Changes may be made during the development in accordance with the provisions of the contract for sale to meet building and or planning requirements or for compliance with relevant standards or codes. All furniture is for illustrative purposes only and is not included in the sale price. Complete the form below and we will contact you with available Floorplans and Prices.